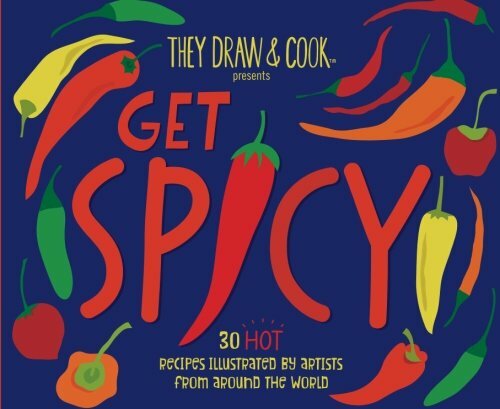 I am so thrilled that one of my illustrated recipes was included in the latest cookbook from They Draw and Cook, Get Spicy! Woohoo! You can get it on Amazon now...perfect for Holiday gifts! My recipe is shown below. Guys, it's SO yummy! We make this all the time. Hi! I'm Cathy and I'm so glad you are here! I’m a painter and illustrator living on the New England Coast of Connecticut. I am passionate about creating everyday, drinking lots of coffee, and kayaking whenever it is warm enough. Sign up for news, events, and occasional freebie! woohoo! We will never share your info with other companies. That's gross and weird. If you would like to create with me from the comfort of your own home, this online class is for you. All levels welcome.